9am to 6pm on weekdays. Wei Chin is an Associate Director at Covenant Chambers LLC. He has a broad range of practice that includes litigation and providing commercial law advice to clients. In the field of litigation, Wei Chin has handled cases spanning across different courts, including handling High Court applications himself. His wide range of experience in litigation includes tenancy disputes, writs of possession, claims concerning breaches of director’s duties, probate matters, criminal matters, matrimonial matters and various other types of litigation work. Wei Chin’s diverse legal background enables him to merge litigation foresight with commercial sensibility, thus providing him a balanced outlook when providing legal counsel and advice. In the areas of commercial practice, Wei Chin is proficient in analysing and drafting various legal documents for a variety of commercial settings. Due to his background in conveyancing, he is also proficient in aspects concerning property transactions. Wei Chin was also involved in providing legal advice and drafting legal documents for various government statutory boards. In his free time, Wei Chin plays the guitar and bass, works out at the gym to stay healthy and plays recreational basketball for leisure. Being lead counsel/assisting counsel in various civil and commercial disputes in the State Courts and Supreme Court of Singapore. Assisting counsel in obtaining a Mareva Injunction for a claim amounting to more than S$3 million. Submitting and presenting mitigation pleas successfully to obtain lighter sentences for clients charged in criminal matters. Being lead counsel/assisting counsel in private prosecutions for a government statutory board and obtaining deterrent sentences against the offenders. Advising and successfully negotiating a settlement for a government statutory board concerning a dispute with an oil supplier. Being lead counsel/assisting in divorce and ancillary matters disputes, including helping parties through Court Mediation. General solicitors’ work in extracting Grant of Probate and Letters of Administration. General solicitors’ work in managing landlord and tenancy agreements and disputes. My heartfelt thanks for your professional advice & guidance in handling my “letter of demand” case. Definitely my “thumbs up” for your marvellous service. Last but not least will for sure recommend you to any potential client in need of legal service in future. Wei Chin is well-versed with a variety of family law issues that the common man may face: divorce, personal protection orders, maintenance claims, custody disputes etc. He manages the troubled emotions that his clients undergoing such proceedings may face, but also applies expert legal knowledge to achieve the best outcome for his clients. In many instances, Wei Chin helps parties in a divorce to reach settlement rather than having to fight a long-drawn legal battle. Wei Chin also does other non-contentious family work such as deputy applications for the mentally-incapacitated, wills, probate and letters of administration. He provides expert help to his clients in the finer aspects of estate planning too. 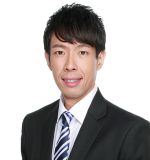 Wei Chin is an accomplished Defence Counsel who has successfully defended his clients from criminal charges at trial. He is also proficient in mitigating for clients who wish to plead guilty and obtained significantly lighter sentences for them. Wei Chin, having served his National Service in the Police Force, is also able to conduct private criminal prosecutions and has acted for statutory boards in this aspect. Wei Chin has dealt with a wide array of cases in the realm of general litigation. His experience extends into contractual breach, company shareholder/directors disputes, accident claims, landlord-tenancy disputes, employment issues, debt recovery and a host of other matters. His approach towards litigation involves balancing the costs involved with the beneficial outcome available to his clients. He has also advised statutory boards and large companies in litigation matters and successfully negotiated positive settlements for them. Please contact Wei Chin for a quotation.